When walking up to any home or building the first place you generally go is to the front door. It’s the welcoming point, the place where first impressions are made. You can dramatically change the appearances of any building with just a little work and some imagination. 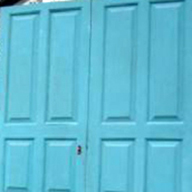 Doors have changed throughout the years along with the varied styles of architecture. 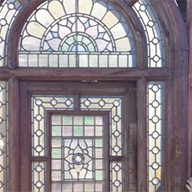 Recycling The Past has collected a vast array of doors to meet the needs of the home owner, business owner, or restoration contractor. 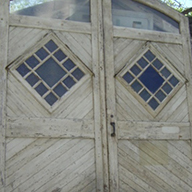 Whether its interior doors, exterior doors, we have them all. Our selection of Oak, Pine, Chestnut, Mahogany, and Iron is among the largest and most diversified collection available on-line. Changing a door in your home isn’t a big deal. Make sure to take good measurements of the jamb and previous door before you even start to look. 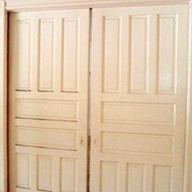 Keep in mind most doors can be altered to fit an over or undersized opening. A lot of our doors do not include hardware, so ask our staff to help outfit you with all the necessary parts you need to be up and running. Change is good…don’t be afraid of a little work. Hard work pays off and in the end will be very rewarding.